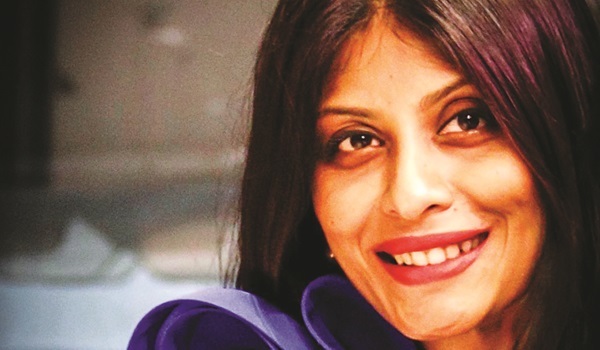 For someone with a passion for the family business, it would come as a surprise that Chitra Pathi branched out and set up on her known. A third-generation jeweller of the Pathi Jewellers, her specialty lies in bespoke diamond jewellery. Her studio, christened Valanda, in Basavanagudi, she warns is not just a showroom. a�?My studio does not have trays of ornaments to choose from. I encourage buyers to look at designs on my computer and decide,a�? she shares. Chitraa��s aesthetic is traditional with contemporary elements, a�?A piece of jewellery must be timeless. I do not follow trends and stick to classic designs,a�? she explains. Valandaa��s latest line, entitled The Diamond Eclat, on display in the studio today, features an eclectic collection of necklaces, cocktail finger rings, ear studs, chand balis, bangles and more. 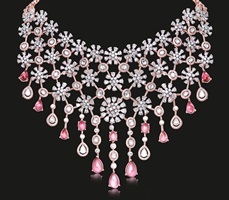 Chitra has used white and yellow diamonds and pink sapphires set in yellow, white and rose gold. a�?Rose gold complements Indian skin beautifully and has recently gained a lot of interest,a�? she points out. Apart from the stunning designs, ita��s the rare cuts of the diamonds she employs that makes her pieces stand out. a�?Round cut diamonds are really easy to come by in India, but I use unusual shapes like princess, oval, pear and marquise liberally,a�? says Chitra, who interned at Ganjam Jewellers before setting up on her own. Chitraa��s studio is also big on jewellery revival with most of their clients bringing in old family heirlooms to make them wearable. a�?I had this one client who brought in an elaborate turquoise and pearl haaram that we were able to turn into two necklaces, a pair of earrings, a bracelet and a ring by adding some more turquoise, rubies and pearls,a�? she recalls. Orders take an average of four to six weeks to be completed.